Crappy Old 10-Speed is the new Black. 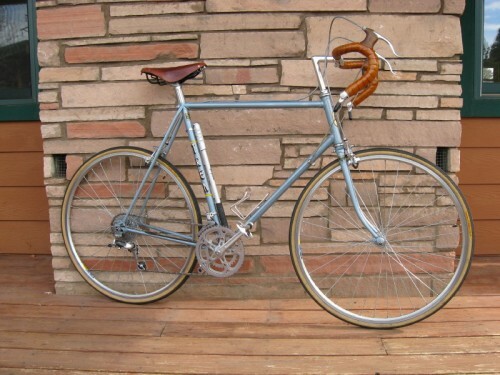 I bought this 1980 Trek 710 new. 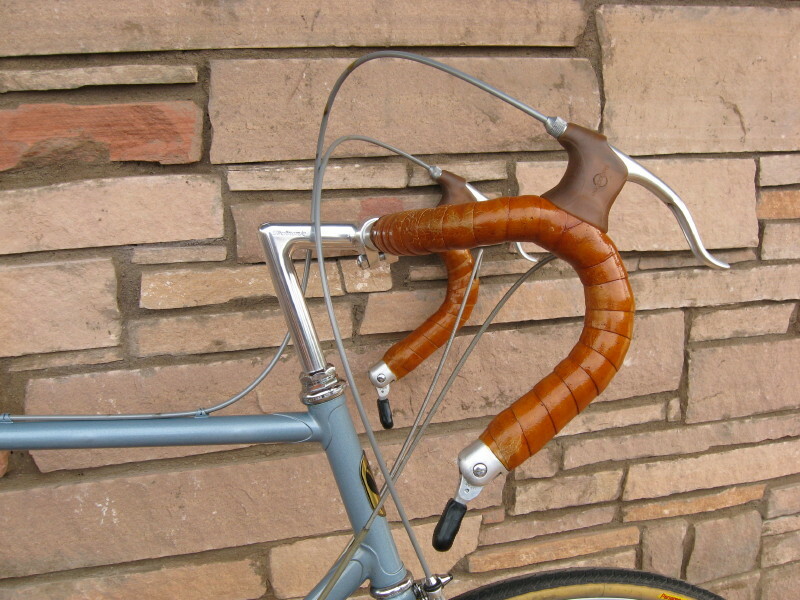 The frame was brazed in October, 1979. Most of the components are original or were added within the first year or two. 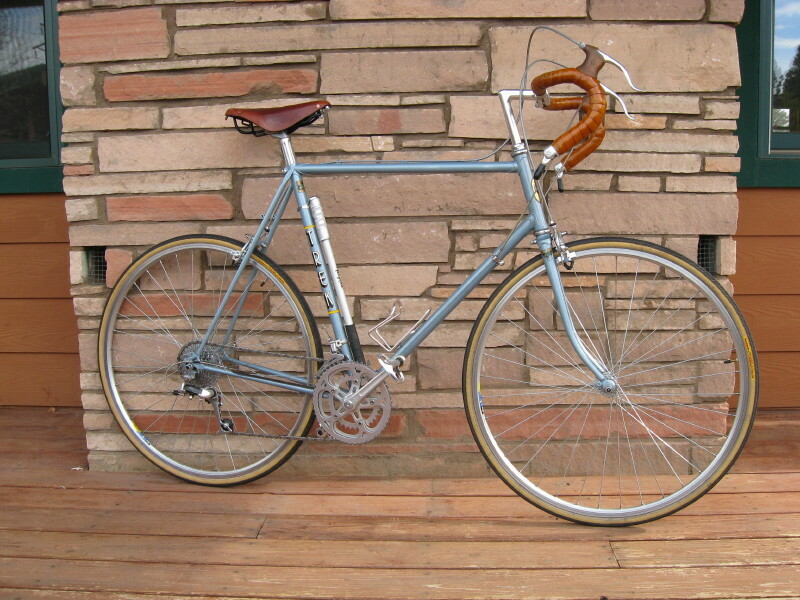 Several years ago I rebuilt the wheels with new Mavic rims and a cassette hub, and switched to clipless pedals and a Nitto Technomic stem to accommodate an aging back. I’ve been riding this bike for 30 years and plan on riding it for at least another 30. Don’t be alarmed Cameron, these pictures were taken while I was recovering from hip surgery. Since then the seat has inched (centimetered?) up and the bars down to more reasonable levels. 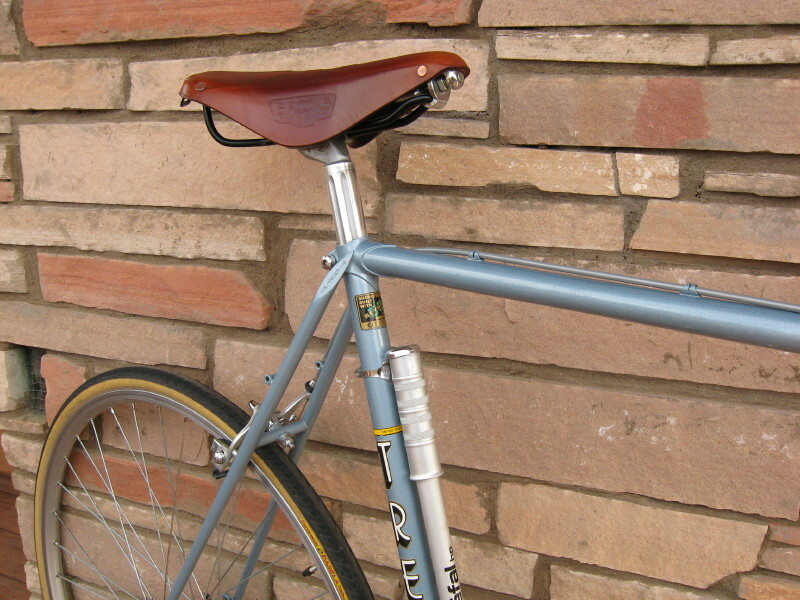 I think the combo Brooks B-17/Nitto Technomic stem at that height is a great way to ride especially if you want to be comfy for long rides in the saddle. 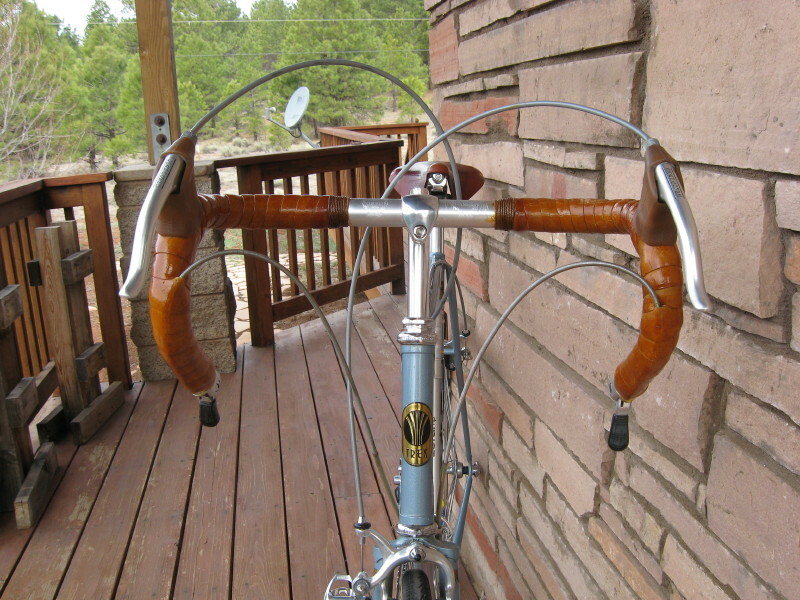 Handlebars seem to work best with the Brooks at or above saddle height with the B-17 in my opinion for whatever that is worth….Otherwise this is a classy cycle for sure! Like the color too! It’s like B.R.Green w/ tan leather upholstery on a vintage 2-seat Healey/MG/Triumph/Jag roadster. Thanks for reminding us how inviting it looks! Would you mind sharing the frame color?